Changes are happening every moment. We all are in constant motion. I know for myself, I have been going through many changes over last few months. I sold the home that I lived in for over 20 years and where I raised both my daughters. I have some beautiful memories and then some not so great memories from my experience of living there. Over the last year I intuitively knew I needed to make some changes. My soul was becoming stagnant, and I was not growing. I know that Change will happen regardless if I decided to stay or move so I chose to embrace the uncomfortable and move forward to creating the life that was waiting for me. To do this I needed to let go of the life that I planned, (that was not an easy decision) however one that I am so glad I did! So, if there is something inside of you that is calling you to change, grow, or move forward, go for it! Make the decision to greet the life that is waiting for you! 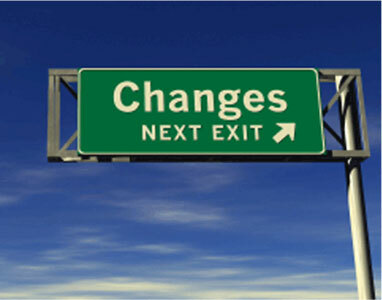 You can either choose to welcome change or be forced to change through circumstances. I have decided to be the master of my life and create the life that is truly waiting for me, all I need to do is met it half way!! This entry was posted on Sunday, September 4th, 2011 at 4:48 pm and is filed under Art of Thinking. You can follow any responses to this entry through the RSS 2.0 feed. You can leave a response, or trackback from your own site.